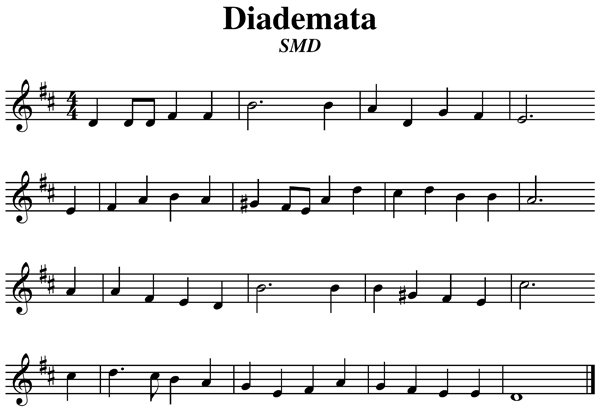 Written by George J. Elvey for the text “Crown Him with Many Crowns” by Matthew Bridges, DIADEMATA was first published in the 1868 Appendix to Hymns Ancient and Modern. The name of the tune is derived from the Greek word for “crowns.” While occasionally used for other texts, the melody retains a close association with the original lyrics. Posted in Themes. Tagged Diademata, Easter, George J. Elvey, hymn, Hymns Ancient and Modern, Matthew Bridges.